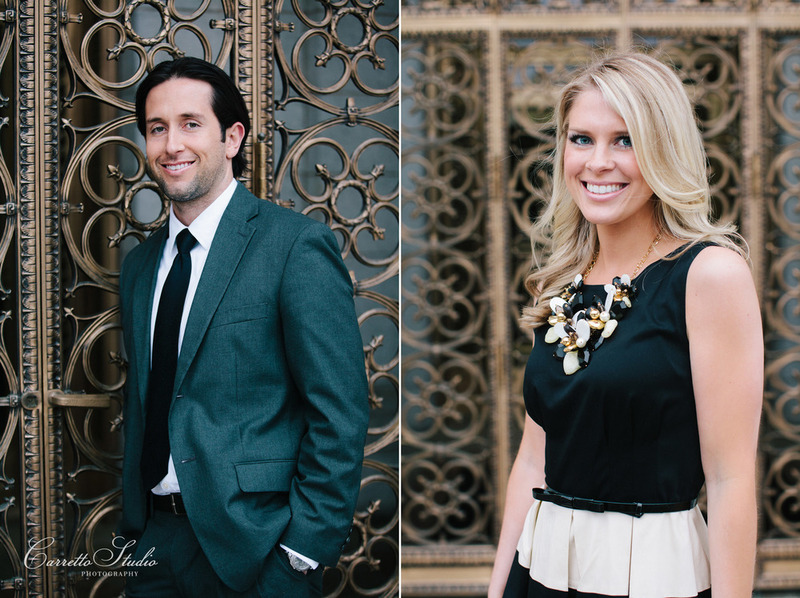 For their St. Louis engagement photos, Melissa and Eliot envisioned something classic and elegant., a little bit city-chic Kate Spade and a lot of black/white/gold. Our two locations were a perfect fit. 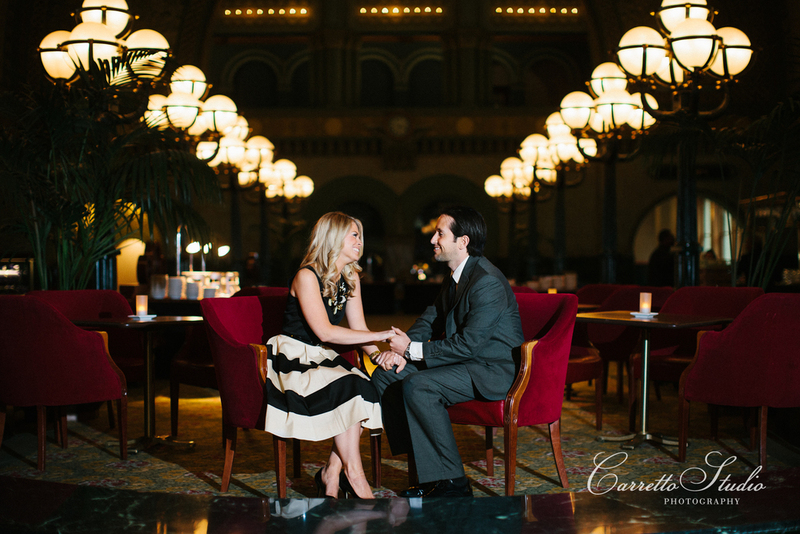 Union Station and the recently renovated Central Library downtown gave us exactly the elegant, gilded background Melissa had in mind. After seeing what an awesome job Melissa and Eliot did incorporating their style into their engagement session, I absolutely can't wait for their wedding!